04 « December « 2015 « Nothing in Biology Makes Sense! Crocodiles are known for their stealthiness in water. And their speed over short distances. 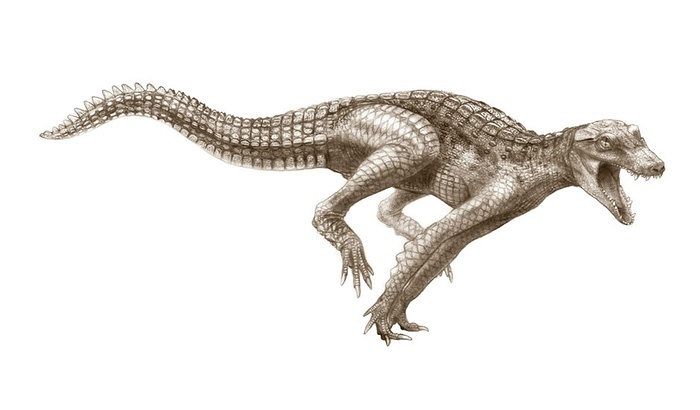 But, fossil hunters in Africa have recently found the remains of a primitive crocodile that “galloped” on land. Why you say? Well, so they could better run down and eat dinosaurs. Read about it over at the Guardian, or just check out these crazy photos.